If you were able to travel back in time to the past events of your life, what exactly would you change? In Richard Curtis‘ new time-traveling romantic-comedy, Tim (Domhnall Gleeson) decides to go back and change his life, all in the name of love. Not that he could really go back and ‘kill Hitler or shag Helen of Troy’, as his father suggests. Since the early 2000’s, the British romantic-comedy is becoming as much of a staple in the genre than any piece of American rom-com cinema has recently, disregarding the American romantic indie features. Whether it be the cute accents, the ginger-bred protagonists or the intricate unique narrative tropes which excel certain points of the love story, those British buggers are succeeding in a genre that generally lacks such a large emotional response in big-budgeted Hollywood films. In the film, aspiring law student Tim lives with his parents (played eloquently by Bill Nighy and Lindsay Duncan), his free-spirited sister Kit Kat (Lydia Wilson) and Uncle Desmond (Richard Cordery) in a charming home overlooking the bay in Cornwall, England. On the morning of Tim’s twenty-first birthday, he is summoned to his father’s study only to be told that the men in his family have the amazing ability to travel back in time, within the timeline of their own lives of course. In utter disbelief and against his will, Tim follows his fathers instructions; finds a dark place, clenches his fists and thinks back to New Years Eve, only to rectify his mistake of missing out on kissing a beautiful girl at the stroke of midnight. Enchanted, he returns to his father exclaiming, “It’s going to be a complicated year”, where his father replies, “it’s going to be a complicated life”. About Time is a charming, utterly tender tale of life, love and the extraordinary of the ordinary. Much like the narrative of the film, Tim travels to the past and back to the present to perfect all the imperfections of his life, yet the film is anything but perfect, and that’s ok. Suffering from inconsistent plot-points to breaking the rules that the film outlines, About Time is surely not a tightly-constricted narrative leap for the genre by any means. Regardless, the film casts an enchanting spell that not only lifts one’s spirit, but causes you to merely forget about the rules Curtis makes, and breaks. Writer/director Richard Curtis has had quite a bit of luck in the romantic-comedy genre, making major waves penning Bridget Jones’s Diary, Love Actually, Notting Hill and Four Weddings and a Funeral. Although he has stated that About Time will be his final directorial venture, only behind the aforementioned Love Actually and Pirate Radio, Curtis has succeeded well beyond many of the directors and screenwriters who hoped to successfully recreate anything Nicholas Sparks‘ has made, with the exception of The Notebook, of course. Fresh, spontaneous and demanding emotions, Curtis has brought new light to the British romantic-comedy front and has made the kind of films one isn’t ashamed to laugh and cry at. Once Tim finally meets Mary (Rachael McAdams), Tim knows he has found the reason to adequately use his time-traveling powers. At first glance, Gleeson and McAdams seem like a poor physical match for a film that at times could be distracting or awkward. Instead, much to the extent and reality in life, the two feed off one another’s unique characteristics splendidly. 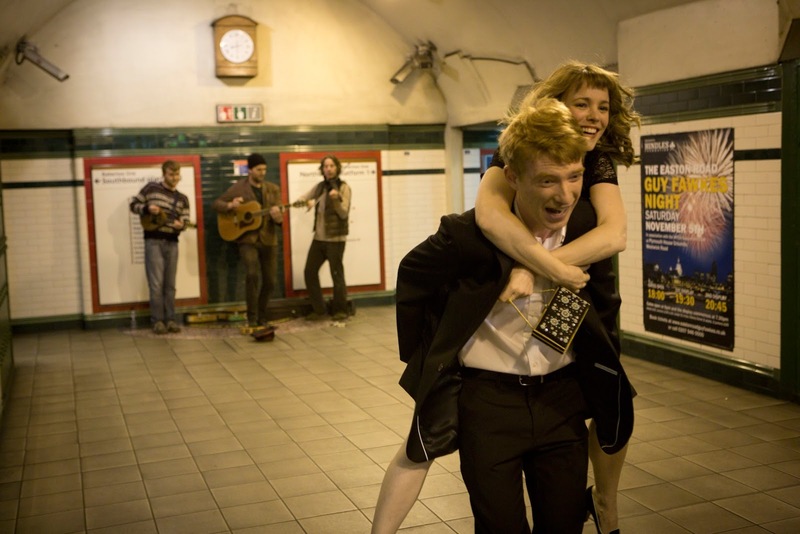 Tall, pale and with a hint of orange hair, Gleeson‘s unqiue on-screen charm is brashly alluring. McAdams on the other hand, stripped of all glam and instead substituted with a rather rag/tag girl-next door look, reminds us why she is cast in these roles and how easy it is to fall in love with her – quirks and all. McAdams, who is no stranger to the time-traveling love story narrative, venturing in her third quest as the desired love interest, first inThe Time Traveler’s Wife and two years later in Woody Allen’s acclaimed Midnight In Paris, enchants and reminds us just how adorable and likable she really is in these roles. Bringing a believable essence to the role of Mary, McAdams just may cement herself in time as the go-to, romantic-comedy poster girl. As a love story, About Time succeeds. As a tale of morality, a lesson on making each day your last and as a film about the bond between father and son, the film triumphs. Gleeson and Nighy share some of the most sentimental and heart-wrenching moments of the film that are sure to get your eyeballs sweating with joy. Incandescent as father and son, the two actors shine as the heart and soul of the film. As the pendulum swings closer to the end of the year, About Time will surely be atop my list of guilty cinematic pleasures of 2013, especially since I am such a sucker for hopeless romantic love stories with an underlining patriarchal theme. About Time may be a highly decorated cautionary tale of the beautiful moments in everyone’s seemingly mundane life and the short time we have to live it, but the film, whether romantically tied or generationally suggestive, is a movie about appreciating the little things. “Some days you want to re-live forever. Some days you want to live once”, and Richard Curtis and company really hammer that notion home with their newest film. Essentially, About Time is really all ABOUT LOVE, and we are alright with that. About Time; a movie that your glad was made, or just any other romantic-comedy with a time-traveling twist? Share your thoughts and comments with the film below. 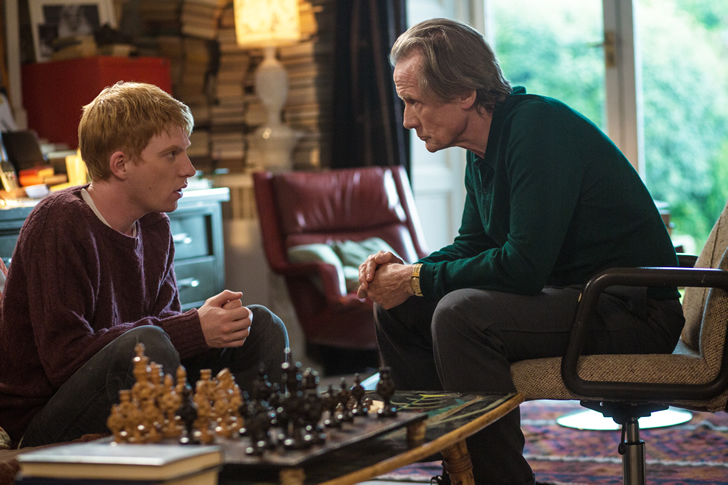 This entry was posted in Reviews and tagged About Time, Bill Nighy, Domhnall Gleeson, Lydia Wilson, Night Film Reviews, Rachael McAdams, Reviews, Richard Cordery, Richard Curtis. Bookmark the permalink.